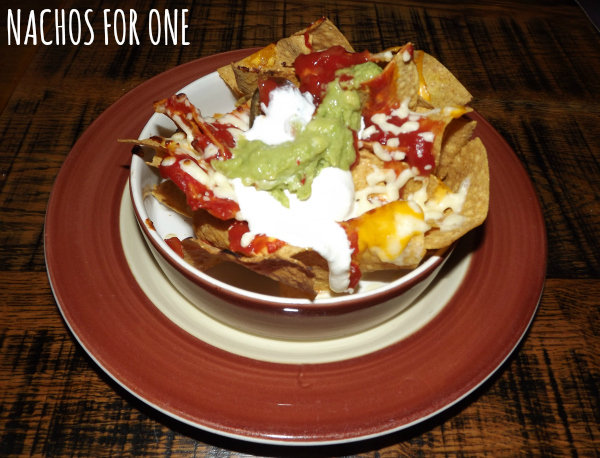 A couple of days ago, we had the chance to review Chiquito‘s new menu and as it happened, we managed to book a table for Valentine’s Day – for three, of course, as these days romantic dates don’t take place without Amy. We went to their Bristol restaurant in Cribbs Causeway and had a really enjoyable time. 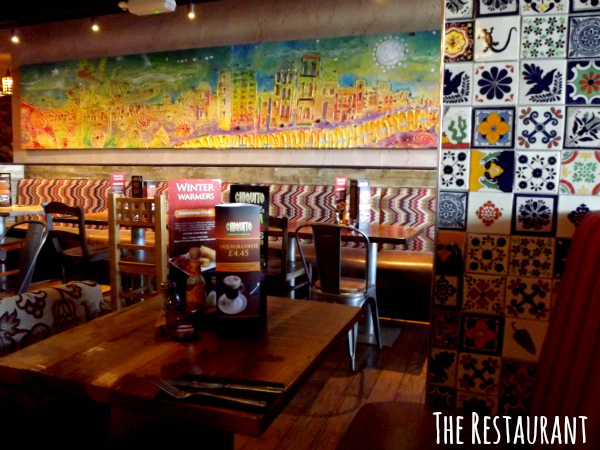 Having booked before arrival, we didn’t have to wait before being seated and could instantly soak up the Mexican ambiance of the restaurant, which is decorated in warm colours and offers a selection of seating options. The Latin music playing in the background gives the restaurant a laid-back feel, which is something that I really appreciate when taking Amy out for lunch or dinner. Amy was made feel very welcome from the start and received an activity pack that helped to keep her entertained while we choose our starters and mains and enjoyed some complimentary salted popcorn. 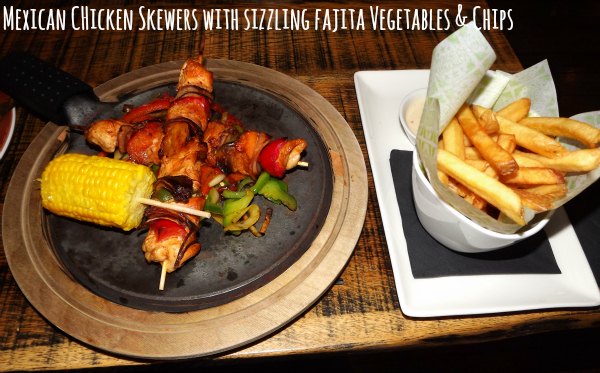 Chiquito’s menu offers a great selection of meals for meat eaters and vegetarians and features popular and less-known Mexican dishes at a very reasonable prices. 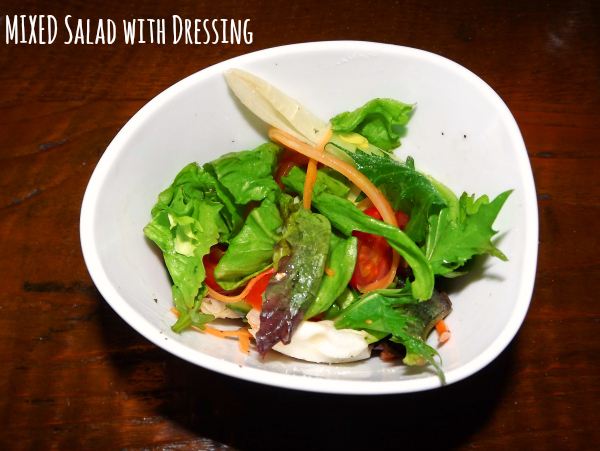 We picked a mixed salad and a portion of nachos for starters and I have to say that both were really lovely. Ben’s salad was fresh and crunchy and came with a well-balanced dressing and my cheesy nachos had a nice kick to them and were enough to share with Ben and Amy. For our mains, we picked Fajitas with BBQ Pulled Pork and Fajita vegetables and Mexican skewers with corn on the cob, Fajita vegetables and skin-on-potatoes. 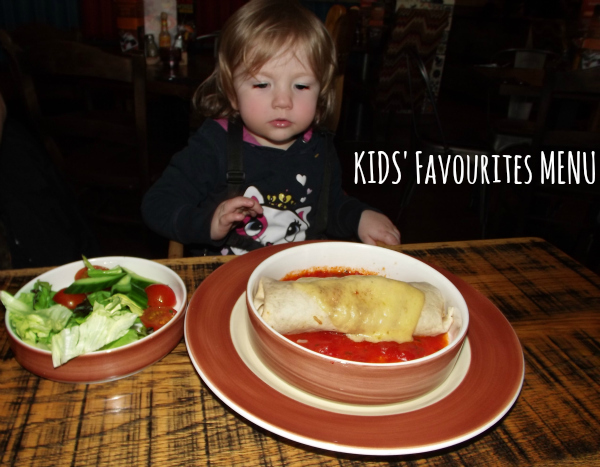 Amy ate a chicken/tomato burrito from the children’s menu which consisted of a main meal, a drink and a dessert. At only £4.95, it was great value for money and a more than sufficient portion size for any toddler or pre-schooler. I was very impressed. Both Ben and my meal were absolutely delicious. 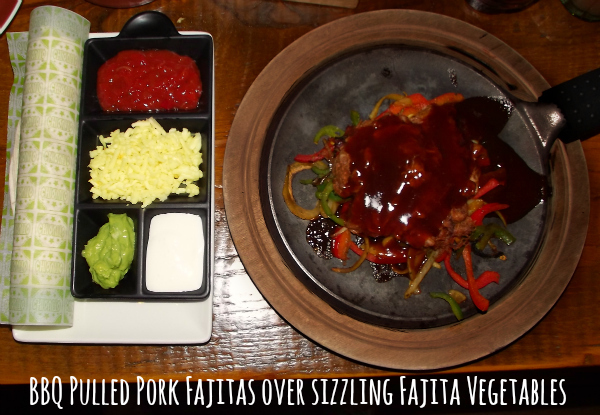 The meat was moist and nicely seasoned and the Fajita vegetables were still a little crunchy – just how we like it. Something that really stood out to me was the presentation of the food. Everything looked really appetising and colourful and the use of hot sizzling pans and wooden boards made the meal feel really authentic. 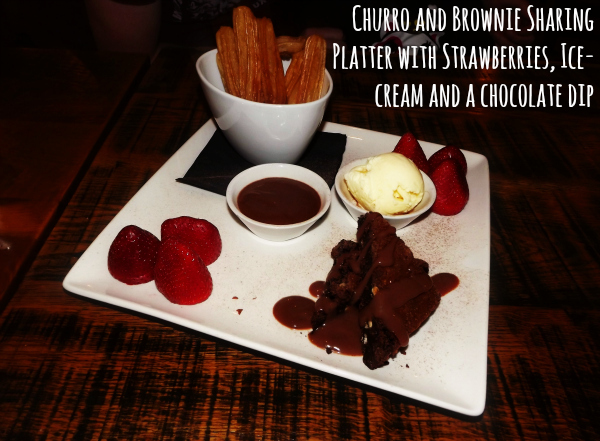 To round off our meal, we ordered a sharing platter of churros and brownies. which was served with fresh strawberries, a chocolate dipping sauce and vanilla ice-cream. What can I say? It was an absolute delight. The brownies were rich, gooey and everything you want a brownie to be. The fruity strawberries and crunchy churros accompanied them beautifully and created a nice contrast to the sweetness of the chocolate dip. I think it was the most beautiful dessert I have ever had. Our waitress was very polite and helpful and although our table could have been cleared a little quicker at times, we had an excellent dining experience. Ben was actually so impressed with his meal that he can’t wait to come back and if you hear that kind of feedback from someone who worked for a neighbouring competitor a couple of years ago, you can rest assured that you will enjoy yourself just as much as we did when we went for our romantic Valentine’s meal for three! Disclosure: We received a £50 voucher for purpose of this review. If you want to treat your mum to a delicious Mexican meal, be quick and book a table for Mother’s Day. Mums eat free. More info here!